Decommissioning, Decontamination & Demolition (DD&D) works are often intrinsically linked to remediation. Soilfix can complete such works as part of a remediation contract where program/cost savings can be achieved through effective phasing, re-use of materials and managing pollution risks. Former industrial activities can leave behind a legacy of toxic waste including chemical & fuel residues. Ideally, these will be removed by previous occupants. Where not, they can prove a costly addition to demolition works and, where handled incorrectly, can exacerbate contamination problems. Soilfix can manage waste/chemical clearance at your brownfield site to ensure compliance with legislative requirements and reduce risks to the environment. Soilfix personnel are skilled in above and below ground demolition works. Combining these works with remediation can reduce costs, maximise beneficial re-use of demolition materials and reduce the risk of environmental impacts. Previous demolition projects have included transport depots, service stations and waste water treatment works. 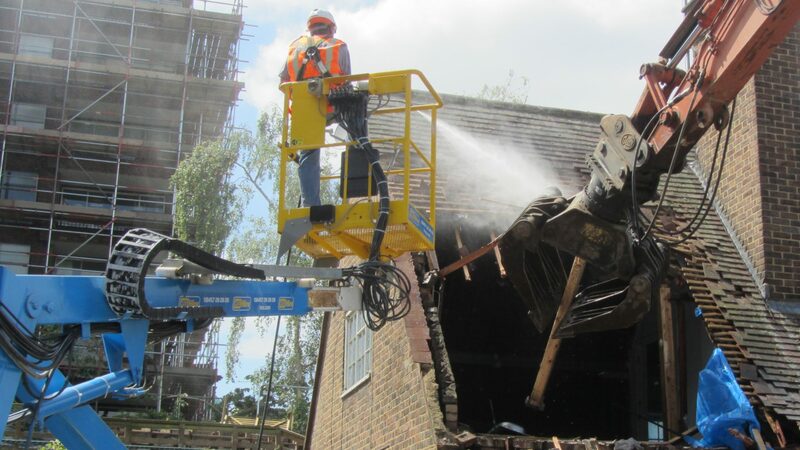 Prior to commencement of any demolition, Soilfix carries out all necessary risk assessments and ensures a good understanding of client requirements and site constraints. Where necessary, Soilfix can also manage the safe removal of asbestos, lead-based paints and other hazardous building materials. Fuel/chemical tanks and infrastructure need to be removed in a controlled manner by a competent contractor to minimise risks of further contamination. Soilfix ensure residual liquids are removed as far as practicable and vessels rendered inert prior to removal. Impacted soils can often be removed and treated simultaneously. Under certain scenarios and where risks are acceptable, redundant tanks can be left in situ. Cleaning, degassing and filling vessels with inert material (e.g. concrete slurry, foam or sand) reduces ongoing risks and can be a cheaper alternative to removal. Soilfix is committed to providing its clients with the most sustainable use of materials generated on the site. Measures frequently include: Crushing of concrete, brick and tarmac to form engineered fill; Reuse of sub-grade granular materials; Enhancement of the geotechnical properties of existing materials; Manufacture of topsoil and subsoil from contaminated strata; Composting of green waste; and off-site recycling of metalwork. These operations decrease traffic movements and reduce build costs.